Go beyond the sesame seed bun with outrageous toppings like pastrami, fried pickles, olives, pineapple sauce and peanut butter. Yes, peanut butter. 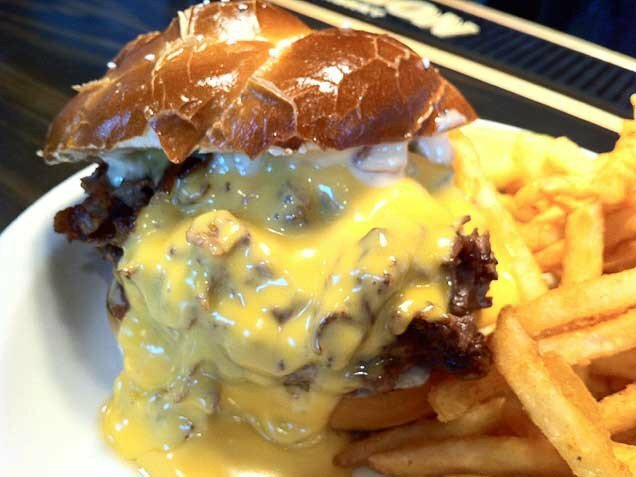 We&apos;ve rounded up 15 crazy burgers from around the world for your viewing pleasure. Most are from we-like-to-do-everything-larger-than-life America. Sadly none contain beetroot. The world doesn&apos;t know what they are missing. What happens when you combine a burger, a patty melt and two toasted cheese sandwiches? American burger chain In-N-Out has a burger called the 4x4. Who says that burgers and pizza have to mutually exclusive? When with think Wisconsin in the US, we think bratwurst. For those of you who don&apos;t know, bratwurst is a German sausage. When it comes to topping burgers and hot dogs, Columbians are not shy. From what we’ve already seen, options for burger add-ons are virtually endless but one topping that had never crossed our minds before is green olives. We dare you to try and take all the pickles off this! The Pastrami Burger has a story similar to many unique regional specialties made by Greek restaurant owners doing their own take on American fare. 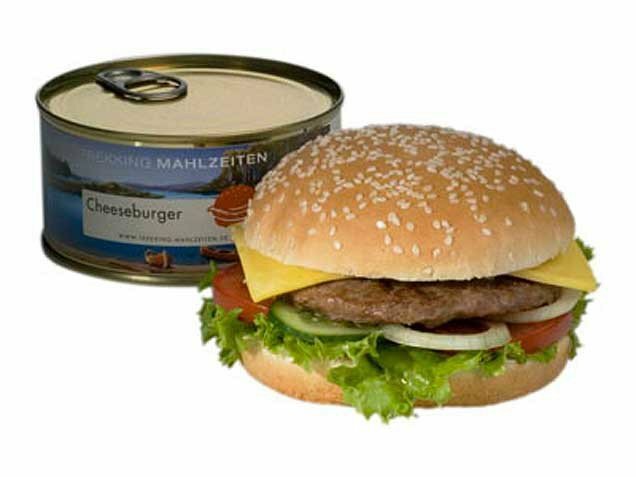 Beans, tuna, and tomatoes are all canned foods that we can stand behind, but a Cheeseburger in a Can? We&apos;re not so sure about this one.